Here at The Railway Nursery we are absolutely committed to giving children the very best start. We always have high expectations of children and adults and we have a highly qualified and skilled team who understand how children learn best. We understand the link between the quality of our provision and its impact on children’s learning and development. Our children are the future of our community and we are privileged to help shape their future. 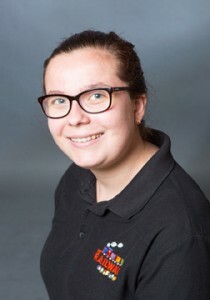 Ceri has a degree and a PGCE (Post Graduate Certificate in Education) and is a primary school teacher with a passion for sharing best practice and excellence in teaching. She has over 10 years experience in teaching and also enjoyed leading her school in Music and PE. She is a musician and plays the piano and guitar. 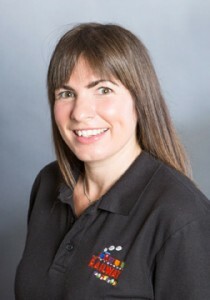 Ceri has a positive approach and loves teaching as she finds it extremely rewarding and enjoyable. Her and Paul have 2 young sons (Monty and Bertie) Monty and Bertie now attend school in Bramhall. Ceri enjoys running, playing the guitar and mountain biking in her spare time. 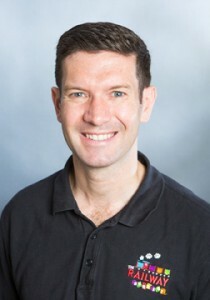 Paul is a qualified Early Years Teacher, has a Masters degree and a PGCE and worked as a property developer before The Railway Nursery project began. He was involved with the initial renovation project of the nursery building alongside our team of builders and is very proud of how our setting has developed with the pre-school extension now complete too. Paul is the nursery Business Manager and is also responsible for maintaining the building, resources and gardens. He is willing to turn his hand to all requests! He loves outdoor pursuits, particularly walking up mountains in the Lake District with his 2 sons Monty and Bertie. He has always enjoyed science and is a Radio 4 fan too! Vikki has over 15 years experience in Early Years and is Level 5 qualified, having completed her foundation degree in Early Years Childhood Studies. 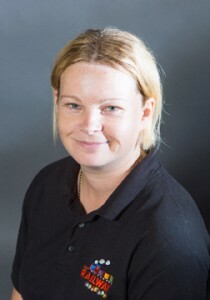 Vikki is the Nursery Manager, she liaises closely with parents to ensure they feel safe and secure at all times when making the big decision to leave their baby at nursery for the first time. 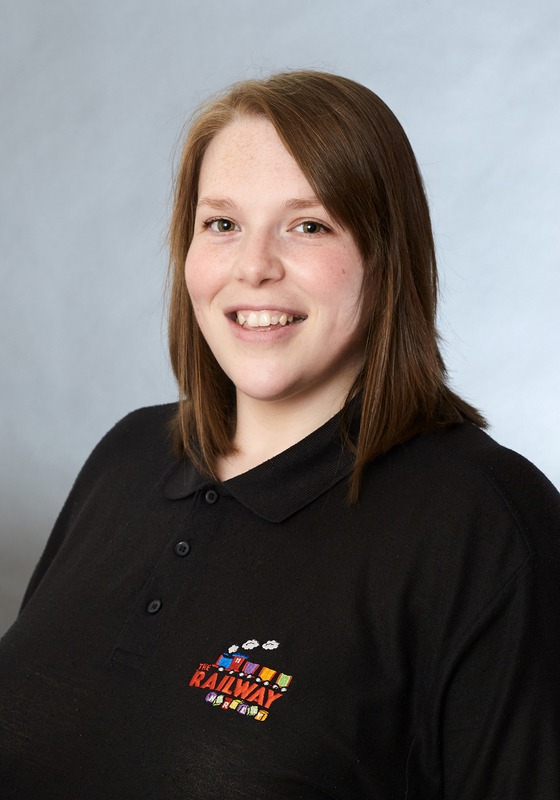 Vikki enjoys meeting new families and showing them around the nursery setting, answering any questions they may have. Vikki also supports staff with their individual training needs, sourcing good quality training for the team to ensure high standards of knowledge and understanding. She enjoys playing basketball, and has played at county level, and has been all over the world pursuing this interest. 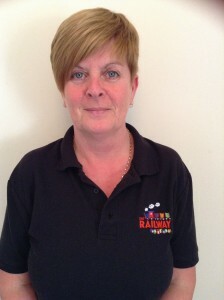 Terri is our Pre-School Leader and Deputy Manager. Terri is BTEC Level 3 qualified and has over 7 years experience working with children in early years settings. Terri has a particular interest in teaching pre-school children, igniting their curiosity and engaging them in their learning. Terri enjoys spending time with the children exploring the outdoors. Terri makes good links with schools during the transition period, inviting teachers into our nursery setting to help the children and their families feel secure when taking on the next step in life at ‘big school’. Sarah is our nursery chef. She has over 25 years experience in the catering industry. She has worked as a nursery chef for over 15 years. 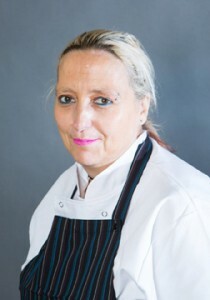 Sarah is passionate about working with fresh and exciting food produce and particularly enjoys pastry work. In her spare time Sarah enjoys going to the cinema and socialising with friends. Sarah has a son who is currently studying at university in Australia, Sarah hopes to visit Australia in the near future. Nina is a highly experienced practitioner with over 8 years experience working in early years settings. Nina is level 3 qualified and works as a Nursery Nurse in our toddler room, she loves planning exciting activities for the children to explore – especially when it gets closer to Christmas! Nina and her husband have a little boy and Nina enjoys spending time with her family. She also enjoys socialising and trips abroad, especially to America, she is a big Disney fan! Nina loves being a Mummy to Finn and also has two cats who are a big part of their family, called Coco-pops and Sky. Nina works 2 days a week – Wednesday and Friday. Niamh joined The Railway Nursery Team in the summer of 2015, as our Apprentice Nursery Nurse. Niamh has completed her Level 2 childcare qualification and more recently her Level 3 qualification at Cheadle and Marple college. 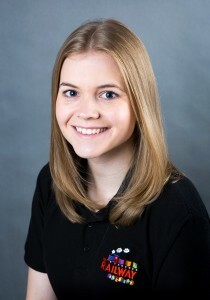 She has a passion for working with children and enjoys seeing children learn and develop. Niamh has experience working in all of our rooms at The Railway Nursery, this has helped her gain practical experience whilst carrying out her studies at college. Niamh now works 4 days a week in our toddler room. Mary is one of our relief staff members, she helps to cover staff holidays and staff training days. Mary has a wealth of experience looking after children, especially as she has 4 grown up children of her own, 10 nephews and 6 nieces. Mary is a qualified psychiatric nurse, but no longer practises since becoming a mother. Mary also has 2 granddaughters and a grandson who she loves spending time with. And if you haven’t guessed already, Mary is Vikki’s mum! 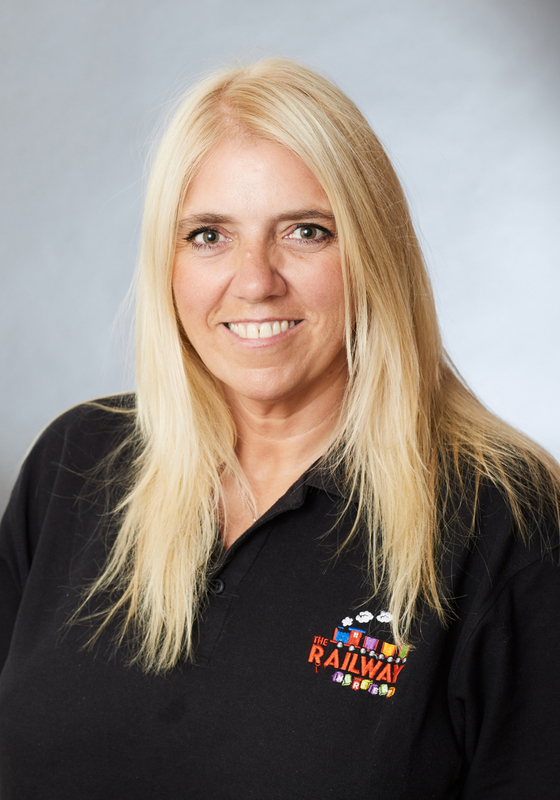 Julie is a friendly and very experienced member of our team. Throughout her career Julie has gained experience of working with children of all ages in both a nursery and school environment. 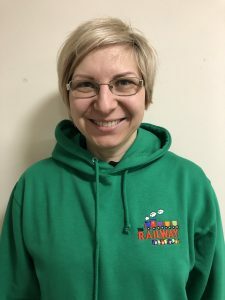 Julie works in our pre school room on a Wednesday and Thursday, she loves creative activities and often researches new exciting ideas she can share with the children. Julie has 3 children who keep her busy at home and in her spare time she enjoys walking her dog, swimming and going to the cinema. Debi has a BTEC Level 3 qualification and has worked with children for many years. Debi is very creative and enjoys all kinds of messy play with the children, you will often find Debi covered in craft materials! In her spare time Debi enjoys a range of craft projects for friends and family and love to spend time with her nieces. Debi works in our busy Toddler room, full time, she loves helping children explore new experiences. Debi is keen to develop her knowledge and has attended a variety of training courses. 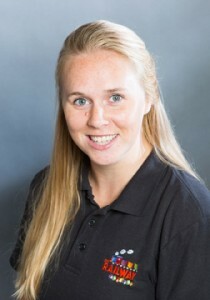 Georgia has worked with young children for several years and has experience in childminding and working in primary schools. She is a talented dancer and musician and has been responsible for large scale dance and music programs in school. Georgia enjoys creative activities with the children and they love her singing and dance sessions too! 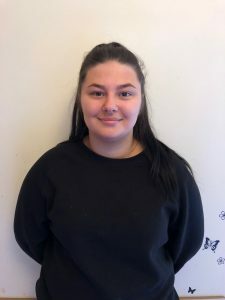 Georgia works full time in our pre school room, she has key person responsibility and has recently achieved her Level 3 NVQ in Childcare to become a Qualified Nursery Nurse. 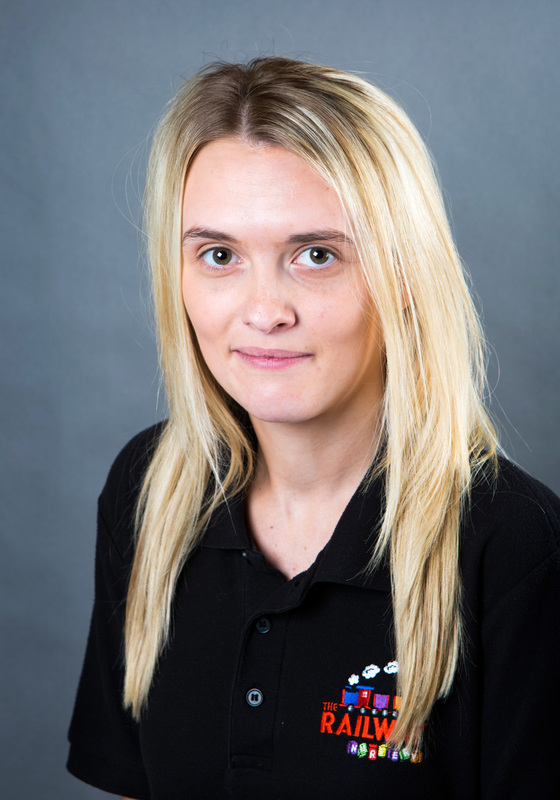 Tasha has over 8 years of Early Years experience and is Level 3 Qualified. She loves getting messy with the children and organising trips for the children to the local parks and shops. Tasha works full time in our baby room, she enjoys meeting new families and making them feel welcome into the nursery. Tasha has great relationships with the children and their families. Tasha enjoys spending time with her nieces and nephew in her spare time, she also loves tapas food and enjoys finding new restaurants to visit! Charlotte used to be one of our relief staff members, she helped to cover staff holidays and staff training days. Since completing her university studies Charlotte is now a full time member of our staff team, working in our busy toddler room. Charlotte is level 3 qualified and has been working in childcare since 2014. Charlotte completed her BA Honours in Education Studies in 2018, she was very proud to achieve a 2:1. In her spare time Charlotte likes to dance, and she has been in performances to raise money for different charities. Olivia started working at the nursery in January 2019, and works full time hours. 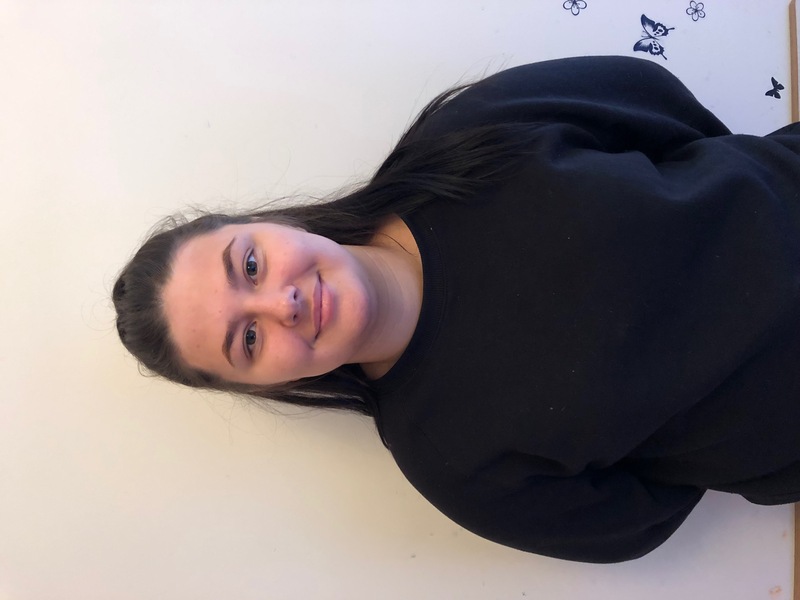 Olivia is working towards her Level 3 Childcare qualification, studying with Cheadle and Marple college, she is looking forward to learning more about children and their development. In her spare time Olivia enjoys reading and taking her dogs for walks. 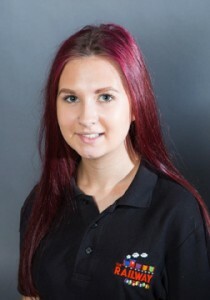 Lydia started working with us in January 2019 and works full time hours, she has a Level 3 Extended Diploma in Children and Young People’s Workforce, which she completed in 2015. 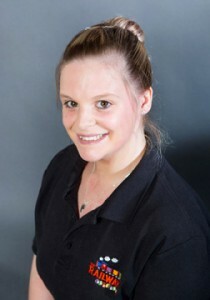 Lydia has 5 years experience working with children and particularly enjoys messy play. In her spare time Lydia likes to take her dog ‘fudge’ for walks and she also likes to visit the cinema with to watch films. Marta started work at our nursery in January 2019. She originally comes from Poland and has been living in the UK for a number of years. Marta has 10 years of experience working in different nurseries. She really enjoys messy play and exploring sensory activities with the children. Marta was leading a sensory group in her spare time, she organised children’s parties. Marta lives with her 2 young children and German Shepard and she dreams about some quiet time, they keep her very busy! Working with children is Marta’s life, love and passion.